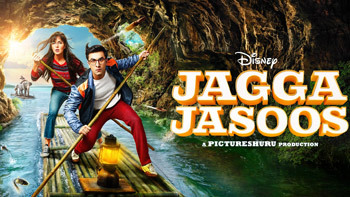 The movie is a comedy-drama that revolves around a teenage detective who is in search of his missing father. One Line Review: Fun movie, shot exotically with musical experience and many cute moments! Positive Points: Strong plot, fascinating storytelling and brilliant cinematography packed with cute characters and many fun moments! Negative Points: The song Ullu Ka Pattha is misplaced and creates a loophole, climax chase scene is too choppy and face-paced which creates confusion and momentary poor use of CGI which was unnecessary for Ostrich race! The teaser of Ranbir Kapoor starrer Sanju inflames the internet! R Balki Interview: Doing a biopic is a big responsibility! Has Ranbir Kapoor inked a three-film deal with filmmaker Karan Malhotra?